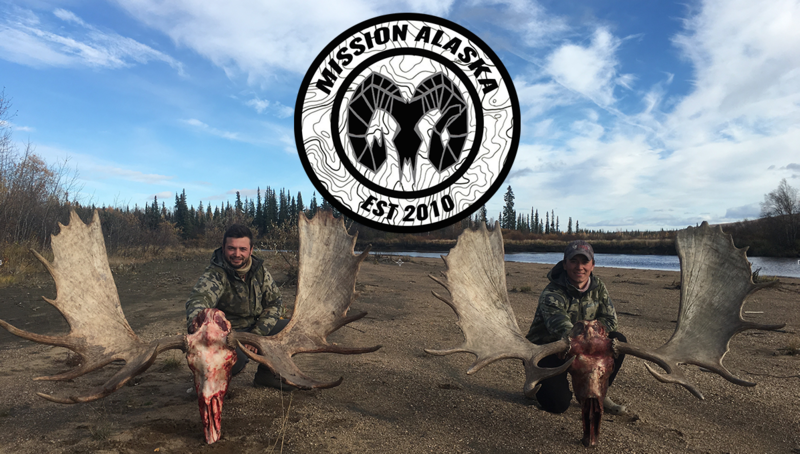 I came across this articles from a few years ago, while I was researching Alaska bear hunting for this upcoming spring. It seems as if, for some unknown reason, there has been a record number of bear attacks in Alaska these past few years. In August 2008, there were three maulings in five days, a total of eight during 2008. This is a picture of an arrow that went through a problem bears heart, sticking into the river bank behind the bear. The bear was punished for his actions, this bear was noted and known to harass fisherman and their camp sites off of the Skwentna River Alaska. While we were away from our camp site fishing for king salmon, another fishermen coming down stream told us a bear was in our camp. When we go to our campsite we found all our food was dumped/half eaten and our tent was thrashed. The bear slowly waddled off as we threw rocks at him. The next day that bear was prowling the banks of the fishing hole, and I took it upon myself to eliminate this problem bear from potentially life threatening future encounters. 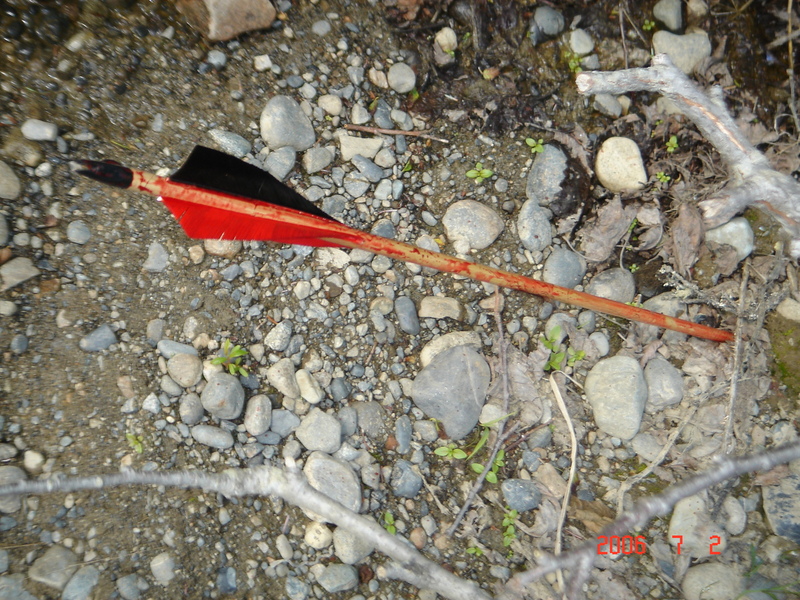 This arrow is the result of a bear that lost its life purely from its interactions with humans. This bear had lost its fear of humans, a very scary realization that this bear could potentially threaten fishermen down the road. The bear mauling article, is nothing new to Alaskan’s. My question is, why were there so many attacks in August 2008? Why were the bears turning to humans? Was it because of cubs in the area? Was it the humans for territorial infringement? It seems as if the humans didnt provoke the attack, as in they never knew the bear was there until they were attacked. This topic interests me, as I am about to depart on an Alaskan bear hunting adventure. Could Alaskan people be on the bears permanent lunch menu? Bears have always been dangerous, but have the people who live with the bears evolved as part of the bears food cycle? These bear attacks will definitely be fresh in my mind as I depart on my 2012 Alaska Bear hunt. Thats scary! I remeber hearing stories about a maneater when i was up their 04-06. There have been bear attacks recorded in history, bear maulings have been reported across the world. There are many theories to suggest why these predators have eaten man. The bears clearly view humans as part of there food cycle… Are we prey? I would presume we are. Many things trigger bear attacks and we are indeed on their menu. I think you hear about it more in the wilds of Alaska but there were attacks in Yellowstone the last couple years as well. As we enter spring, I bet we hear about more of them as well. Safe treading! Believe it or not, there has actually been more recorded bear attacks in the lower 48 (contiguous 48 states) than there has in Alaska. If you do a quick bear attack search google will bring you to a wikipedia page that notes all the bear attacks recorded in the United States. There are far more attacks in campgrounds and in local neighborhoods in the U.S. than there is in the wilderness of Alaska. Real interesting, looks like humans could be a dinner bell to these beautiful beasts..
← Mission Alaska Followers: Thank you!